Rick Pitino’s got him a potential pro in incoming freshman VJ King. The 6’7″ guard-forward from Akron, OH. is your prototypical NBA 2-guard with a 6’10” wingspan. I KNOW, the title may sound outrageous but take these things into account before you have any doubts. First, VJ King was BORN in Akron, OH. the same city as the current “King” Lebron James. King also attended St. Vincents – St. Mary’s the SAME school Lebron James attended (although he finished his career in Fairfax, VA.). With all that being said, it’s hard to think of another AKRON basketball prospect that has had this much hype since James himself. 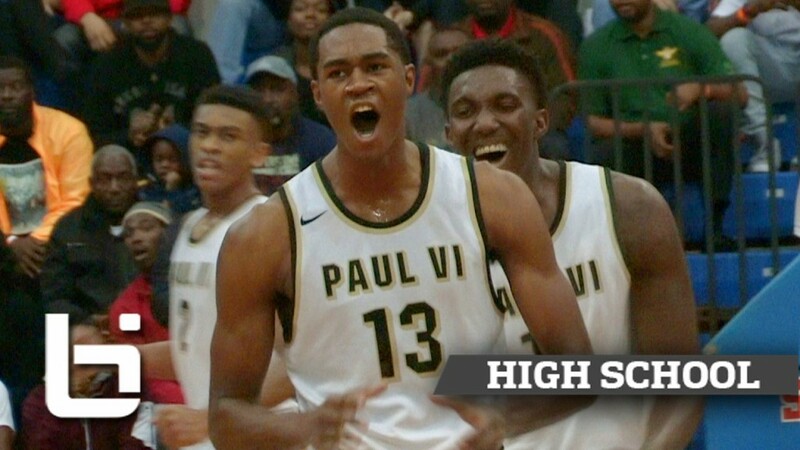 To back up his Top 20 rankings King was named a McDonald’s All American, a Jordan Brand Classic participant, and the 2015-2016 Virginia Gatorade State Player of the Year. King nearly averaged a double-double (22.9 ppg, 9.7 reb) in arguably the toughest high school conference in America (WCAC). Look for VJ to make some noise his first year with the Cardinals!